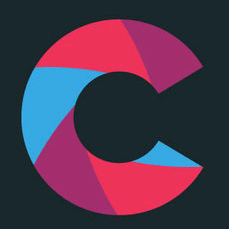 Cineuropa Shorts – Cineuropa Shorts is a website exclusively dedicated to European short films. With news, interview, festival reports, videos and events, Cineuropa Shorts aims at promoting the European Short film industry and its creators throughout the world. DocAlliance – The online portal DAFilms.com is the main project of the Doc Alliance festival network formed by 7 key European documentary film festivals (CPH:DOX Copenhagen, DOK Leipzig, FID Marseille, Jihlava IDFF, Planete Doc Film Festival, Visions du Réel Nyon, Doclisboa). FilmFestivalLifeLine is the best way to reach an international audience, mainly composed of filmmakers, film industry professionals, film schools, film students as well as film festival programmers from all over the world. FilmFestivalLifeLine provides its readers with inspiration, tips, experts’ insights and stories from the film festival world. If you are a creative author, a Blog or online publication that wants to contribute and be exposed within the FFL’s community, don’t hesitate to contact us and discover how to work together.